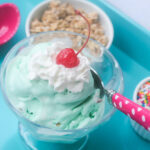 Easy, Creamy, Delicious – Melt in your mouth, homemade pistachio ice cream! When it’s hot outside, a favorite treat at our house is ice cream. Everyone loves it and it’s a great way to cool down. It’s so loved at our house, that we have a #SundaeFundae at least once a week. We gather together all of our fun ingredients and toppings. 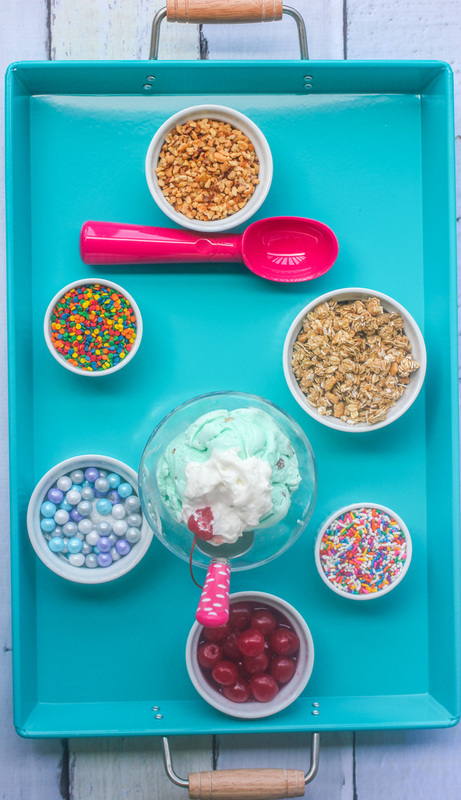 I typically churn out some ice cream so we have something fun and we have a Sundae Bar with all of our favorite Smucker’s® Ice Cream Toppings. We headed over to Walmart to choose our Smucker’s® Ice Cream Toppings and get our ingredients for our ice cream. 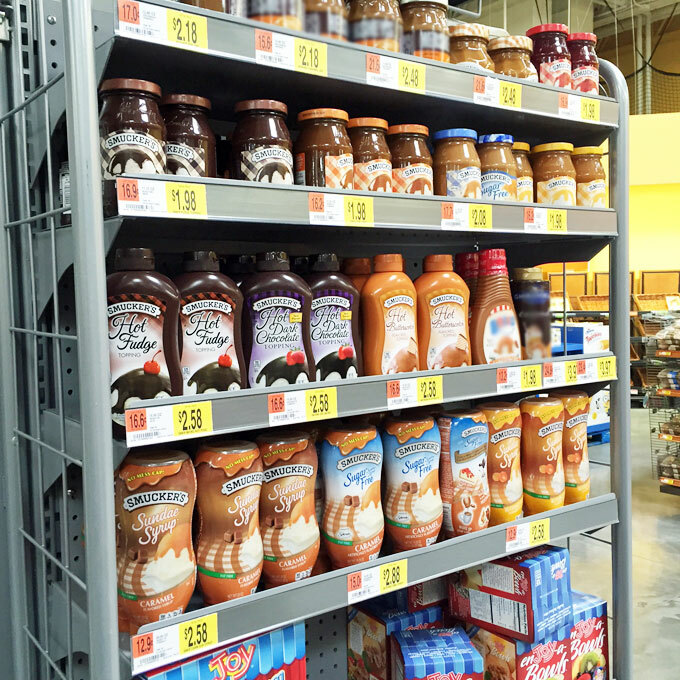 Have you seen the variety of Smucker’s® Ice Cream Toppings available at Walmart? Our Walmart actually had two full shelving units full of tasty toppings from Smucker’s® so we grabbed a bunch! We love making ice cream. I use my ice cream maker all year long, though it is definitely more active in the hotter months. We love making easy recipes too, and this one is a VERY easy ice cream recipe and tastes simply delicious. 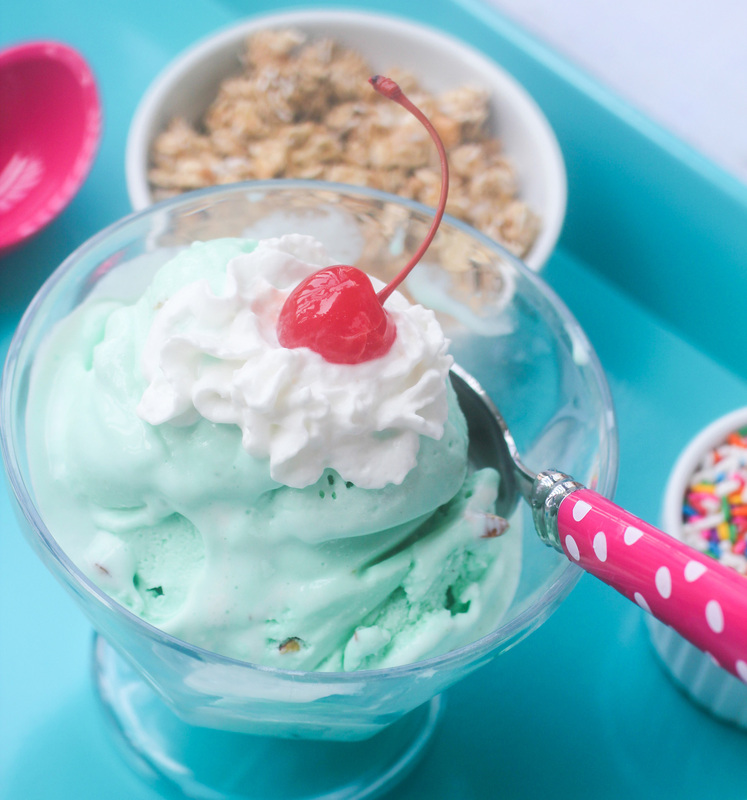 I love that you can change it and make it your own and then add delicious Smucker’s® Ice Cream Toppings at the end and make it a #sundaefundae! Let’s go make Pistachio Ice Cream! Easy, Creamy, Delicious - Melt in your mouth, homemade pistachio ice cream! In a saucepan on the stove, mix together the heavy cream, whole milk and sugar. Heat until the sugar is dissolved. Remove from heat and pour into a bowl and cover with plastic wrap. Chill in the refrigerator for about 20-30 minutes or until cool. Remove from refrigerator and add the instant pistachio pudding mix, again combine well. Pour the mixture into an ice cream maker according to the manufacturer’s instructions. When the ice cream is nearly finished freezing, pour the pistachios into the ice cream machine, and allow to mix thoroughly. Store in an air tight container and freeze for an additional 2-3 hours. I shared a fun recipe and my favorite Smuckers toppings. 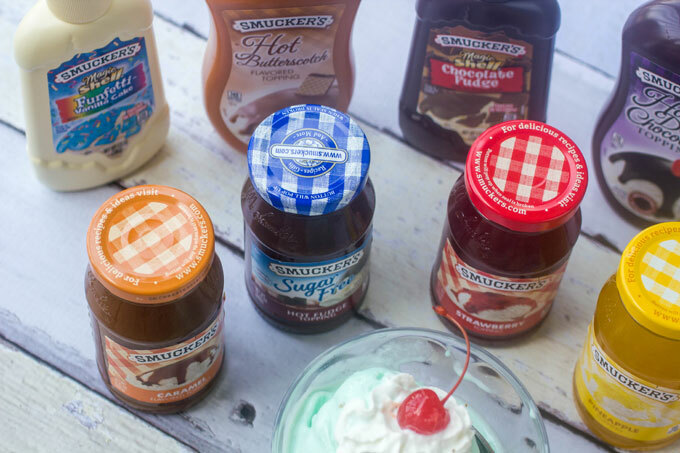 What is your favorite Smuckers topping for a #SundaeFundae Ice Cream Party? This looks delicious! My wife and I love ice cream. We just had ice cream cake last night and almost ate the entire thing. It’d be great to have a healthy alternative.